Since the dawn of time our storytelling arts have been split into two genres - tragedy and comedy. 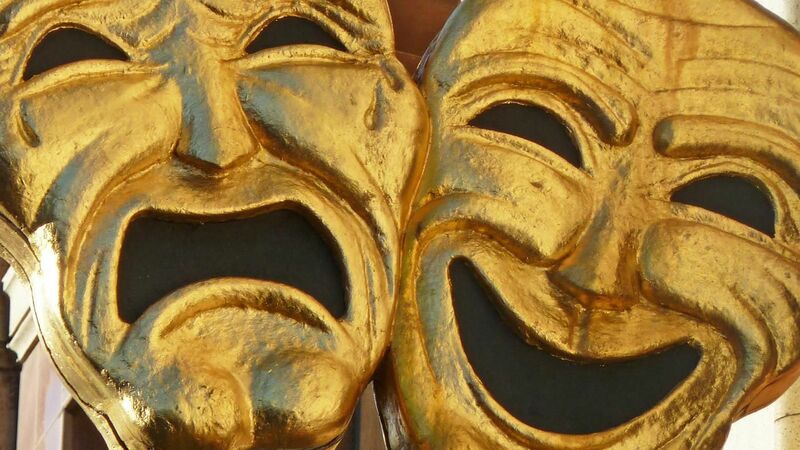 It’s the idea behind the two masks used to signify plays and theaters. It’s a dualism that speaks to us for its simplicity. But it’s not accurate. Genre is a tricky concept when it comes to the arts. It’s both a means of description, or categorization, as well as a marketing methodology. But these days genres do little to describe a piece of art. Especially when that artwork flows across genres, or as is the case with video games, has to incorporate both systemic genres and storytelling or artistic genres. Which is why it’s bad to describe anything ever as a comedy. I’m not the first person to say this, the much reference Marc Bernardin has readily said this a dozen times before - comedy isn’t a genre, it’s a device. A device is a method or tool in storytelling, and art, that aids in getting the creator’s message across. It’s not a genre unto itself, but it can be used as a means of categorization as any commonly occurring idea might be. Similarly, satire and pastiche aren’t genres but tool. And ones usually associated with comedy. Yet comedy is not a requirement of them. Take Animal Farm, by George Orwell, for example. It’s a satire but far from comedic in its tone or telling. Expectations are everything. They help us as creators determine what elements to include be they story, art or game mechanics. As an audience they help us find a project we’re interested in playing. It’s why when I hear “walking simulator” I expect story and one well told. But I know that’s pretty broad and could encompass anything from Firewatch to Tacoma to What Remains of Edith Finch. Each of those games, while first person, an often considered genre, have drastically different storytelling genres. Tacoma is clearly science-fiction or as its sometimes called speculative fiction. Firewatch falls between a mystery and a character drama, while Edith Finch is readily classified as magical realism. All of those terms in no way refer to the gameplay or the systems are work in the games, but the storytelling within. As such they create certain expectations for what we’ll find within them. It comes as no surprise that in Tacoma we’re dealing with spaceships, space stations, zero-G and artificial intelligence. For Firewatch it’s expected that a crime will be solved. And in Edith Finch we know we’ll be pushing the boundaries of our reality. Gameplay mechanic genres are a tricky thing, as none of the current terms is terribly useful or accurate. Nor are they necessarily inclusive to all the possibilities they present. What is the difference between an action adventure and an adventure game? Other than perspective what do you learn about a game when a game is called “third person shooter” versus “first person shooter”. Comedy faces the same problem - as a description it says we’re meant to laugh. Problem is, humor is highly subjective. Of course it’s more than visuals that are universal. It’s the story, the tropes, the ideas, the characters, their feelings that are universal. In a visual medium, inevitably, the visuals help sell those memories. But Alan Yang is right about what comedy is and isn’t. Of course he’s professionally funny and a writer to learn from. His insights stand regardless of whether we’re talking movies or video games - comedy isn’t funny to everyone. Case in point, think of any literature class you may have had in school. In my case, it was English, which meant we were studying Shakespeare. His work is divided into two genres - the aforementioned tragedies and comedies. 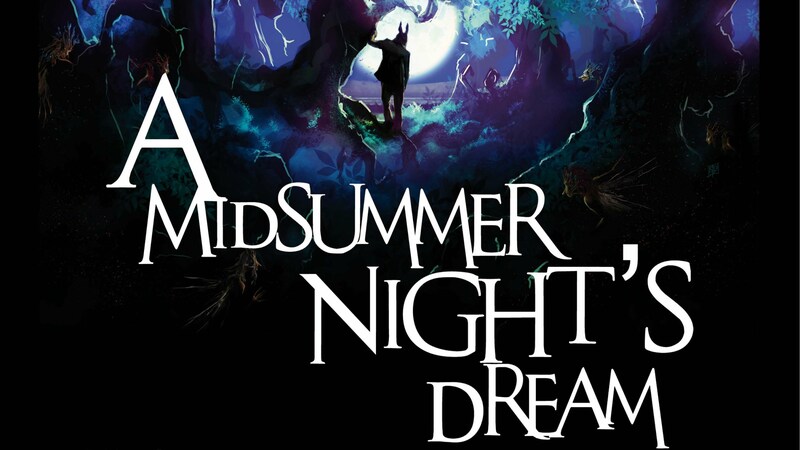 Midsummer Night’s Dream is one of Shakespeare’s comedies. Except, I don’t find it funny. And I can't think of any of my classmates that did either. Of course maybe with time that’s changed, but by and large it doesn’t elicit a laugh. Some of that may be from how it was taught, after all a play is meant to be performed and not read, but my point stands. Comedy as a genre is a misnomer, especially in games. With the fact that you’re laying systems on narrative, or as some game devs do, narrative on systems, at no point in that process is comedy the defining point of what’s makes the game. Especially with how repetitive games are. Some comedians argue that if something is funny the third, fifth and seventh time it’s done or said then it’ll always be funny. The problem with that idea is how it ignores what may be problematic about the joke, who the joke is about, or whether it’s culturally relevant. Seth Meyers, for example, makes a lot of jokes about the Trump administration and rightly so, however what I find off putting about a lot of them is how centered on the appearance of various individuals they are. Sure they’re old white men, most of the time, in positions of power and privilege doing horrible things to the world. But that doesn’t mean they should be targeted for their appearance. Doing so distracts and ultimately undervalues the purpose of the joke - which is to point out the flaws in their actions, the absurdity of the situation, the sheer what-the-fuckery of it all. Humor is a release valve. It’s why even in the darkest drama or tensest thriller there are often moments of levity. Times when one character or another makes a joke, cracks wise, or otherwise comments about their situation and how screwed up it is in a humorous manner. Humor as a tool is used similar to the try/fail cycle in resetting the amount of tension so it can be amped up again and again over the course of a story. Tension and odds aren’t necessarily the same, but as additional complications or failure occur upping the odds then generally the tension is increased as well. 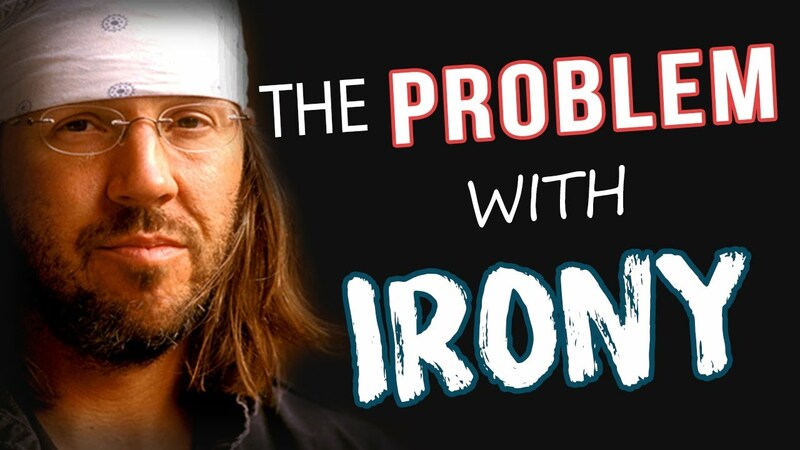 The problem as Will Schoder pointed out in his video essay, “David Foster Wallace - The Problem With Irony” is that the reliance of humor in every scene to comment ironically on the present situation ultimately undermines its purpose - in terms of character building, pressure relief, and humor. If that’s the type of humor used throughout a piece of art then can it really be called humorous or a comedy? What there is, rather than laughs, is an air of disdain and misery. This is me not dismissing irony, it has its place, but within constraints. Irony relies on a the viewer or player to be in on the joke and aware of the absurdity of the situation. Otherwise it comes across as an empty comment. 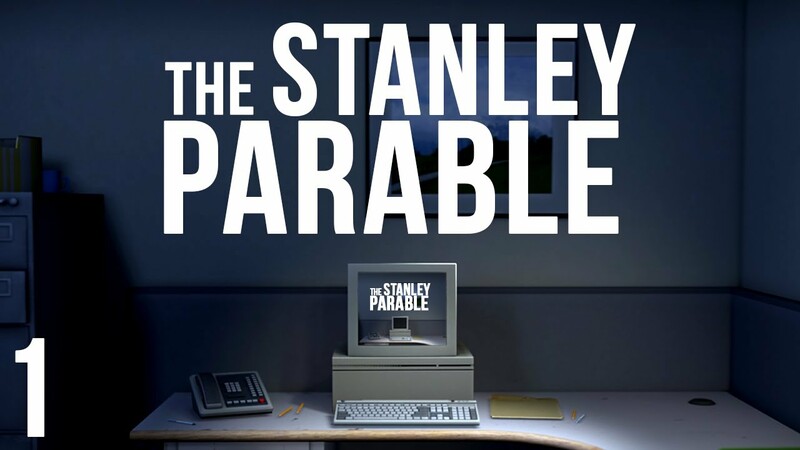 A game like The Stanley Parable makes use of irony. It’s playing on the tropes of video games and what’s expected from players. But it’s not the only form of comedy used. The writers made use of other techniques, some of which we’ll explore in a bit. Irony or not well written characters seek to effect change, not just writhe around complaining about it since any attempts at comedy aren’t about affecting anything but pointing to the obvious. In games this becomes tiresome extremely quickly because of the swiftness that the “jokes” are repeated. So what can be done to avoid the numerous pitfalls of making a game that’s “funny”. Funny in this instance implies humorous or comedic but of course that’s not a given. Avoid irony. Not entirely, but as a crutch. If every joke is on the basis of a character cracking wise about the situation or making reference to the fact they’re in a game then the player will quickly tire of the character’s jabbering. Jazzpunk makes use of irony in limited amounts. Similar to the aforementioned The Stanley Parable. Jazzpunk dots its world with only small comments on games and game mechanics. But never at the expense of everything else going on. Diversify the humor. Scott Adams, the creator of Dilbert, identified six dimensions of humor. By combining those dimensions he’s able to continually create new comic strips and develop jokes, as well as cross cultural boundaries and generations. Weirdly, before I’d ever had a job I read an odd amount of Dilbert. The six dimensions of humor are - Naughty, Clever, Cute, Bizarre, Mean, and Recognizable. Mixing two, three or more of the dimensions will result in jokes that appeal to more than one person and may last longer. Of course there’s no guarantee. For more on the six dimensions of humor check the show notes, or simply search for “Scott Adams dimensions of humor”. The problem with diversifying humor is how poorly that ties in with game mechanics. Which by the nature are meant to be repetitive and easy to scale. Repetition is the antithesis to good humor, just think of any time someone’s repeated a joke you’ve told right after you’ve told it. It’s not funny, in either sense of the word. Review and edit. Comedians know you have to hone your craft. Few people are inherently funny, and to get their jokes to land during a set takes practice. That includes learning when to cut a joke, or tighten up a punchline. Games writing so often doesn’t include time for editing. But if the game is meant to be funny then there’s an even greater need for editing. Especially for games that have to be localized. I’ve proofread the scripts for some games being localized and I could readily identify issues with the humor that weren’t going to be translatable or funny for others. Firewatch wasn’t one and done when it came to the number of drafts of its script. Sean Vanaman was constantly rewriting and honing the story, the lines, the encounters to create a better game. And that applied to the humor as well. Of course Vanaman couldn’t know how each scene would ultimately land with individual players, but he had an intent. Through rewriting, testing with players, and running the script by the rest of the Campo Santo team they were able to refine all the elements of the game, even the comedy. Games given they’re a confluence of other arts inevitably have to consider more when attempting comedy. There’s timing of animations not just dialogue, sound effects, the art style and animations, the aforementioned localization, etc. And worst of all, a joke may never be seen. It’s why Easter eggs tend to be so self-indulgent. The creators don’t know if player will find them, and like irony require a certain level of cultural knowledge to be relevant. Otherwise they’re just something that breaks immersion. Don’t break immersion. This harkens back to the previous step, but it deserves mentioning again. If a joke takes a player out of the game then it’s entirely unnecessary. It’s the equivalent of a first person shooter adding the ability to plant flowers. Conceptually I can think of a reason for adding it, if the story is about a hitman who plants them as their signature. But if you’re playing Halo, Call of Duty, or Fortnite the ability to plant something doesn’t add to the narrative or your lethality. It probably detracts from them. There are jokes that I ad-lib in this series that inevitably fall flat for any number of reasons. Most of them get cut. For the ones that don’t... I’m sorry? But if you didn’t find any of those jokes funny or you think I should stop trying to be funny then take that as a lesson when it comes to your own writing. You’re not as funny as you think you are. So strive to do better. Figure out your story genres first. Shawn Coyne, author of The Story Grid, describes all stories as having two genres. An external and an internal. External genres are, “what we think when we hear the word Genre - action, horror, crime, western, thriller, war, love etc.” They’re a combination of setting and story, and will inevitably have some determination over the plot as they create expectations in the player, or as Shawn Coyne calls them “obligatory scenes.” But more on those in a future episode. Internal genres are not as immediately clear but are defined as, “Worldview: A Change in Perception of Life Experience; Morality: A Change in a Character’s Inner Moral Compass; and Status: A Change in Social Position.” Each of these have sub-varieties that will see characters through a different character arc. But not all internal genres work well with the external. For more on that I really suggest you give The Story Grid a read, but we’ll address it in a future episode. For now, for your game take a look at the genres you’re using and then determine if comedy is a tool that would help tell that story. There's no set way to write for video games. As a medium it's relatively young and the methodologies are constantly changing as the technology changes. Compare that to other mediums and you'd be amazed that anyone can get anything done. But then a project that requires more than one person is a feat of social engineering. Writing became standardized in other mediums for a number of reasons. Probably the most prominent factor is the commercial aspect of them and the need to turn around and create content quickly. It's a demand on time that leaves little room for niceties, but does allow a great amount of experimentation - it's just another constraint. But one that serves a good purpose. For more on such constraints be sure to check out the episode on just such a topic Rule The World. Cinema has been an industrial artwork for over 100 years. Theater, opera and other performance arts for even longer. So it makes sense that they'd develop best practices for their crafts to smooth out the production process, which of courses includes writing. Hell, I write this series using the screenplay format on Scrivener. Why? Because while it eventually becomes a blog post I need it structured in such a way that it makes reading it easy for when I record. 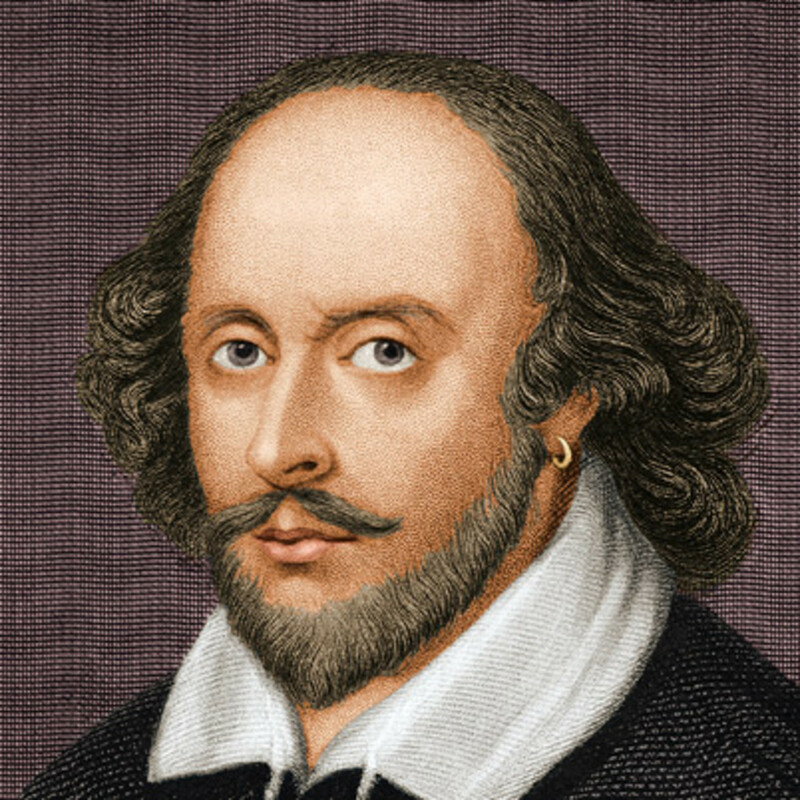 Shakespeare may like soliloquies but that doesn't make them very natural. The constrained format of the screenplay offers a concise measurement of how long a particular piece will take to read aloud as well a clear delineation between lines and who's speaking. Whatever format you write in isn't terribly natural. All forms have been created and evolved by humans to serve a particular purpose. And the same is true for whatever form you work in when writing video games - it has to serve your purpose. The difficulty in writing for video games comes in deciding on the form. There are numerous ways to do it and inevitably every team develops their own methods, tools, markup or language for addressing the inclusion of text. Whatever you do, whatever tool you use, you need to be consistent. Make a model. To help you be consistent. Make a model to aid programmers, narrative designers, UI/UX designers, game and sound designers, really anyone else working on the game. Anyone who needs to read or interact with what you're writing will need to know how you structured everything. So make a model. It's not uncommon to hear games writers talking about working in spreadsheets. Fact is spreadsheets are a common site amongst game developers because they're incredibly useful for how they display information both vertical and horizontally. Traditional word documents and even developer environments work vertically with a limit to their horizontal width. And while dialogue may be written in the traditional manner of whatever language you're working in, there's a lot of other details you'll probably find yourself having to add. Notably which character is speaking, camera and character directions, inputs, variables and more. Spreadsheets can make that easier to write and, most importantly, parse. Again it's not just you who has to read what you've written, but your teammates, and computers. Surprisingly, or maybe unsurprisingly, both people and computers can be quite literal in their interpretations of what you've written. They don't automatically comprehend your intentions, so anything vague or ill-defined will either be dismissed outright or provoke some sort of an error. With computers errors are relatively easy to understand and fix. With humans - not so much. Whatever way you write your script, in whatever program you use, in whatever language you're fluent in - be consistent. Consistency counts far more than good writing. When it comes to getting a game made it's the first priority. It may sound sad but if you're not writing everything in the same manner then what you do write won't necessarily end up in the game. So what does a model look like and what's it entail? To begin with it can be one file or many files. It depends how you structure everything. If you're working in a narrative scripting language like Ink then you can readily create projects that call files and reference lines written in those files. This is perfect for writing things in small batches that pertain to certain variables within your game. But more on that in a bit. If you're working in something like Twine, then chances are you'll be making something more visual in its structure. This method is great if you're a visual thinker and need to separate things out, or you want to see how they flow together. Of course, as mentioned before if you're using a spreadsheet then... well... things will be very condensed. The beauty of spreadsheets is the ease in which you can add in variable lines of dialogue. Branching paths takes some extra work. Whichever means you choose to write and structure your video game script you're still going to need to go one step further when it comes to being concise. You need to have consistent markup. Every time you write a URL you're writing markup, specifically Hyper Text Markup Language, or HTML. Whatever form of markup language you use, whether it is something like HTML, or Ink's own markup, or even Twine's three varieties of markup, you have to be consistent. That's the purpose of markup languages. They tell the computer how to treat different parts of your script. And as mentioned before they tell programmers and designers how to work with your text. Markup is used to differentiate between just about everything your script can be used for. So you signify which characters are speaking, where and when the lines are to be used, if something is part of the UI or other element, even what variables are going to affect and/or trigger. If you're using a narrative scripting language like Ink, then the markup can be used to affect most aspects of the game. That ability is dependent upon many factors including design and integration of any required plugins. In Ink's case, its creators Inkle have released a plugin for Unity. So... You're probably asking yourself what should be in the script for my video game. If I say everything you're going to run away screaming. If I say just the text that doesn't convey anything. Mainly because in a video game unlike other mediums there's context to be taken into account. Context matters because without it anything could happen at any time and the entire purpose of any structure, especially for the story, would be lost. Player characters wouldn't be able to say the lines assigned to them. NPCs could be sprouting anything, including variables or spoilers. UI elements may mislead players. In essence a game would be unplayable. That's why with you need to be consistent with your markup and signify the difference between the various types of dialogue a particular character can say. Those times include dialogue for idle situations, failure states both big and small, success, item interactions, and combat barks; animations; cutscenes; tooltips; tutorials; and anything else that needs to be written. Most games and game companies don't have editors. The few that do tend to be RPG-focused studios like Bioware or Larian. They have to deal with so much text and story that to handle it all and keep track of it requires an editor or editors. But most game companies don't work that way. It's not like working on an article or book, where everything you write is being scrutinized by someone else or a couple of people. Sure others may interact with what you write but they aren't there to check it for mistakes or make sure the story works. They're just trying to implement it. It leaves all that work on your shoulders, so it's best to save yourself and anyone you're working with some trouble if you learn to be consistent sooner rather than later. Markup languages aren't any harder than basic punctuation. You're simply using them more often. The other major aspect of writing for video games when making your model is identification. Everything needs to be easily accessible by the computer and that means it needs an ID. It's not a passport, but it's a string, or in more common parlance a name, similar to that of a file or a folder on your computer. Only it's good practice not to include spaces but rather use underscores.There's a lot of ways to name things, whether it's a folder, file or string. But again, here is where consistency counts. Mainly because humans, mainly you, are going to be using the IDs. It's not just the computer. If you need to find a particular line, and you may be writing thousands of them, then you want to do it swiftly. Looking for particular words is likely to throw up dozens if not hundreds of times that word occurs. IDs save time. But to save that time you need to have a consistent way of naming each line. The ID can include the name of the character speaking the line, the location it occurs and when. Naming conventions can get quite complex depending on the game. Take any open world game, like Far Cry 5, there are countless NPCs. Each of which needs lines that are dependent on age, gender, time of day, location, and situation. And to keep it from getting boring there needs to be variation of each. For that game alone there's something like 15,000 lines for the NPCs alone. That doesn't include story. So the big question is - where to start when it comes to making your model? One talk to your team. Find out their needs. You're not doing this alone, so the model has to be usable by both artists, designers and programmers. Two, plan out all of the different types of text you'll need. And all of the situations in which dialogue will occur. As mentioned before that includes dialogue for idle situations, failure states both big and small, success, item interactions, and combat barks; animations; cutscenes; tooltips; tutorials; and anything else that needs to be written. That's not even thinking about what needs to be possible in a game like Firewatch which had thousands of lines, many of which only occur if the player picks a particular one hours earlier. Granted Firewatch is an open world but it's one devoid of crowds of NPCs, so the complexity comes in modeling the story and not everything else. However Campo Santo did it, consistency was inevitably the key. And your success at writing a video game script will require the same thing. Some claim there's no place for story in games. I'm going to make a bold claim and argue that all games tell a story, it's just that some games don't have a plot. But wait Greg aren't you contradicting yourself, by saying that a character's actions determine the plot? Not at all, because not all games have characters. They simply have a player-sized hole. Think of some of the most well known or systemic games to date - Tetris, PUBG, League of Legends, etc. Each game will be completed and tell its story regardless of the player. Someone can in effect sit there are do nothing. Granted that is a choice, but not one that creates a plot. And only tells a very limited story. Whereas games with plots are those that won't tell a story without the player. Witcher 3, Mass Effect and Firewatch all come to mind. So why does one have a plot and another not? It goes beyond choice; it's cause and effect. It's choices. The player makes a choice and has to experience the change that decision enacted. They must deal with the consequences. And adapt to them or seek to set them right. Whatever right may be. Choosing to do nothing in PUBG does not count as a plot, not just because the game goes on without you, but because you never experience the effects of your one and only decision. In a lot of ways systems-heavy games, especially those focused on multiplayer, are the equivalent of procedurals on TV. The setup is always the same, the outcome rarely different, and week in week out we know the world will reset. This consistency is why we see so many police, legal or medical procedurals. They're situations that enable the main characters to encounter new situations and individuals every week. But fundamentally they aren't required to change. Why? Because that's not the story. The story is of someone doing their job. The plot... Well if there is one, happens over the season or seasons. CSI, Numb3rs, The Mentalist all did it this way. They had the main characters coming up against an antagonist who wasn't in every episode. Who would tease our the chase over a season or more. Why? Well because each show needed a hook that made them different from the others because their structures were so formulaic. So much so that more often than not the killer was the third character introduced that episode. Law and Order is particularly bad at this. And it's not the writers' fault. They're working within the constraints of their medium - namely time and budget. So having more characters in the mix gets very difficult if the crime is to be solved that episode. 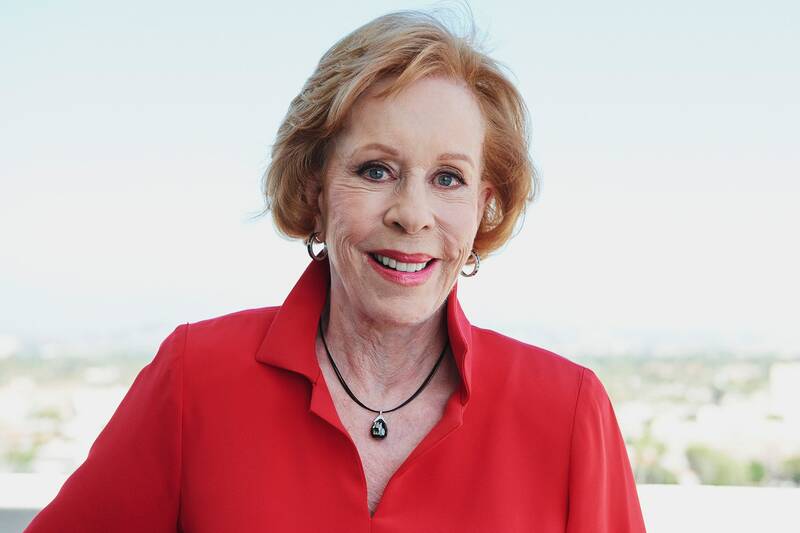 But watch a season and count how often the third new character is the killer. Of course this isn't true for shows like Criminal Minds where the culprit is shown from the beginning. By and large it holds true for any procedural. Legal and medical have their own structures as they generally aren't concerned with finding murders but again their structures are such that the story resets at the end of every episode. I could argue this is realistic because people don't change that much. They get on with their jobs and try to do their bests and continue their lives avoiding change. That's true to a degree, but as far as art goes in the case of procedurals, as it is with many games, the creators want people to return. And how do you get a person to return - by keeping things the same. Your audience can pick up season seven of Law and Order to find it no different than season one, even if they haven't seen the intervening episodes. The same is true for games, much to the bane of any creator who's tried to create a sequel only to have their audience cry out in dismay at how the original was better. But getting people to return time and again to a game is about more than addictive inclusions like loot boxes. It's about creating the same feeling. So now may be the best time to talk, not loot boxes, but RPG mechanics. And yes for some games those can be one and the same. Yet there's a reason we're seeing more and more such mechanics and progression systems included in types of games that didn't previously have them. RPG mechanics are the equivalent of season-long antagonists in procedurals. They're there to tell the audience something may change the next time around, they're a hook to keep people coming back for more. But that change is never guaranteed, and what does change is minimal. Progression isn't a plot, but it is telling a story. The story of the player. Within that story is a limited choice, one that may seem significant to the player, but in no way affects the game state. So players can return time and again and find the game, much like the procedural, is what they experienced previously. This is not me hating on RPG mechanics. I've put far too many hours into games like Halo, Titanfall, and Destiny for me to say otherwise. I'm happy to have those very elements in my games. I simply recognize them for that they are - hooks. After all, every time I play Halo multiplayer one set of Spartans have not overcome another. Nor has the IMC crushed the Militia in Titanfall. And in Destiny and its sequel I have not in fact become legend or really changed the world, well solar system. That progression is so well worked out and tweaked to keep enticing players to remain engaged, or if loot boxes are available to purchase them, that it's hard to say there's much choice within that progression. Obviously there is depending on the build you're going for. Yet we hear time and again players, commentators, journalists, basically anyone engaged in the game's community discussing the meta. The existence of meta may be great for strategizing the best tactics for competitive play. When it comes to plot though, it's a death blow. All because choice is severely limited. But more on choice in a future episode. There are systems-heavy games, or systems-driven I use both terms interchangeably, that try to tell a story with something that resembles a plot. Rimworld and how it remembers and connects disparate actions is a great example. Your crew may create items be they sculptures or utensils which are dedicated to the memory of early events in the game. Again though this doesn't qualify as plot according to the aforementioned definition, namely choice. Yes the player can specify which of a dozen activities a character should do and can even specify that character's preference to minimize micromanagement. But as the player our story is limited and plotless, even if we are telling a story. And it all comes back to this of interacting with art. With all previous mediums, mediums we find within video games, such as film, poetry, literature, music, art, etc. We have only had a binary choice. To read/watch/listen/observe or not. It's very black and white. Video games, story-focused video games, change that up. They can throw out the old dichotomy and instead welcome a spectrum of possibility but don't always. The games of Fullbright are two great examples. Gone Home while a narrative game and deridingly called a "walking simulator" by some, is very similar to the systems-heavy games. It ostensibly has a story and a very moving one. In all honesty it made me cry, and I'm glad it did, because that right there should be proof enough that video games are art. But I digress. Gone Home has a story, but there isn't a plot. All because the story has already been told, we as players are not affecting it one way or another. Nor are we learning about the character we're playing. Instead we're archaeologists uncovering the events of the past. Gone Home like a novel only gives us a single choice - to engage or not engage. The story has already been written, it's only a matter if we learn of it. Gone Home has us inhabiting the role of Katie Greenbriar who for all intents and purposes is a player-sized hole. Through that role we learn of "our" relationships with our family and how they've developed in our absence. Conversely, Tacoma is a game with two stories, one of which has a plot that you the player determine to some degree. Like its predecessor though the story of Tacoma has already happened and as a player we are merely revealing it. The plot part is in regards to how much you engage in the story, because like many systems-driven games it'll finish with you as the player providing minimal input. That choice to play microgravity basketball and do nothing else is an interesting one. It can say a lot about the character you play, Amy Ferrier, but the wider implications for that are few and far between. The significant choices the player character makes are never ones the player is allowed to determine. Thus relinquishing a certain amount of player control for the sake of the creators' message. But again Amy like her predecessor Kate is little more than a player-sized hole, because there's little to who she is that affects how we play, what choices we're presented with and how we develop as the story goes along. Compare that to another walking simulator, Firewatch, by Campo Santo. Like the others I thoroughly enjoyed this game and find myself constantly thinking about it. Firewatch is a game that's all about story, or more correctly choice. The result is a game with a plot. Unlike the previously mentioned games, Gone Home and Tacoma, in Firewatch's case the player is given a plethora of choices. Choices that affect how others react to the player character, what information is available to the player, and what we as the player know about the character we play. Some may find this hard to understand because the choices aren't explicitly signposted, not in the way they were in a series like Mass Effect where you knew if you were taking a paragon or renegade action. That choice to signpost things or not is a matter for some discussion in a future episode, but for now it's simply something worth noting because it's a style and gameplay decision that affects how players interact and encounter a story. Firewatch is as subtle as games can be, in that there are consequences to your actions they just aren't all signposted. You're not told you'll gain +2 charisma or fancy new binoculars. Take for example, the choice you're presented involving some teens and their radio - You can take it, turn it off, throw it on the ground, throw it in a bush, throw it in the lake... Basically trash the thing. Your choice says a lot about you as both a player and a character, but it also has implications for later in the story when your encounter with the teens has its inevitable consequence. Throughout the entire game, not just this sequence, the game never says "so-and-so will remember this" as is common to TellTale games. 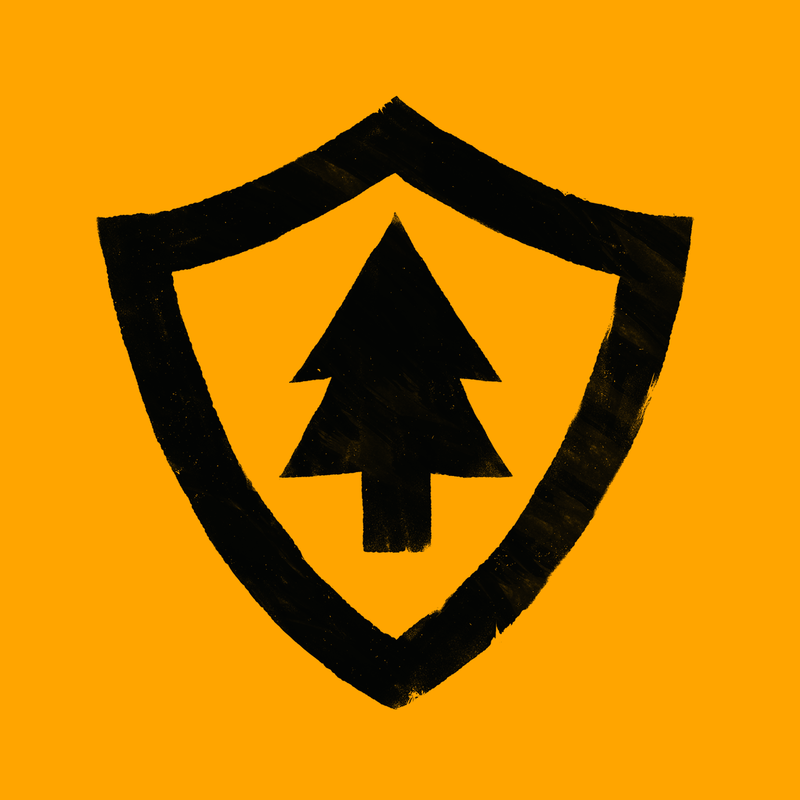 It's not to say that the results of your actions in Firewatch are solely in your mind's eye. Rather, there are real world effects but the differences between one course or action and another are never explicitly explained. All of it though is in the service of developing the plot and thus the character of Henry. Developing the character of Henry or any character for that matter isn't a matter of the game being about roleplaying, but rather enabling choices which reflect upon the person and the situation they're in. Games are always going to tell stories. Any designer who says they're trying to evoke a feeling is seeking to tell a story but with the player at the center. How you do that isn't always going to have a plot. That doesn't mean you can't tell a story with a plot. To do that also takes the recognition of whether you're telling a story with the player at the center of it or not. It's all just a matter of perspective when it comes to game design. Regardless of whether you're writing the story being told by your game or you're planning out the plot the player character will experience be sure you ask yourself this one question - Is the character active or reactive? This episode started with the purpose of discussing the difference between plot and story, yet very quickly degenerated into an exploration of choice in video games, because choice is plot. So it's safe to say that choice will be explored further in future episodes as it relates to character and design. But as much choice as a game may give a player that doesn't mean there's a plot, there's always a story to the game. A creator's decision for how the story is told in relation to a player's character and the verbs available is going to affect if there's a plot. It all comes down to whether there's a player-sized hole to filled or if the player is inhabiting a character that can be explored or changed. And even then it's a question of if that character is active or reactive. More on characters, choice and the rules of storytelling in future episodes. Thanks for taking part in this episode of The Writing Game, I’m Gregory Pellechi. Everything I do can be found at OneGameDad.com and I can be reached there or on Twitter @OneGameDad if you want to talk writing, games, this show or even working together. The Writing Game is hosted by Third Culture Kids which can be found at ThirdCultureKids.net. Please be sure to like & subscribe or rate and review this show on whatever platform you find it. I’ll see you on the next episode.